We got the dresser from my parents that my mom had when she was a kid and I also used when I was a kid. 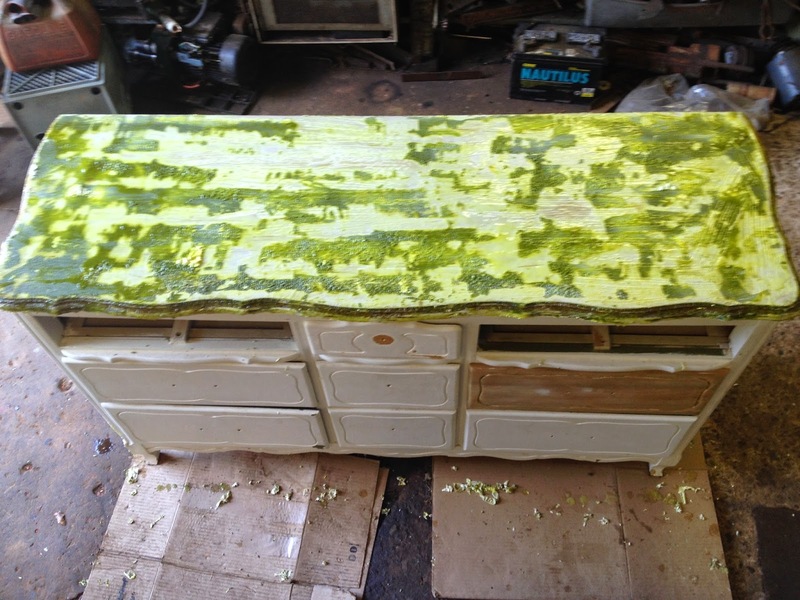 It's gone through 4 different paint colors in the past 50 something years. So Darren spent hours and hours stripping all the paint off and sanding it. 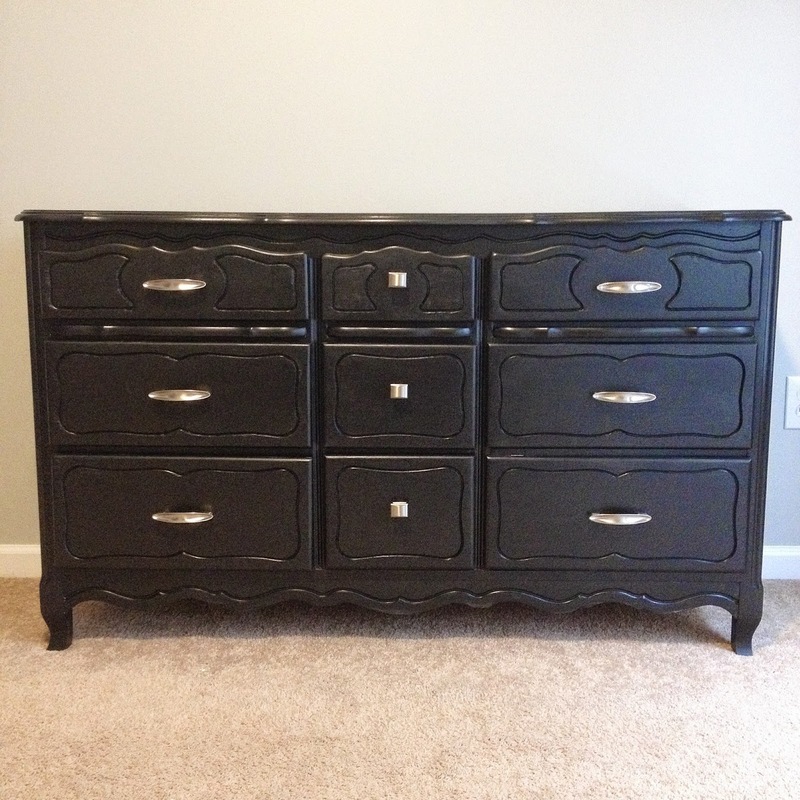 Then I primed it and painted it black and got some more modern-ish handles. I think the transformation is awesome and I love it. It will serve as good storage as well as the changing table. 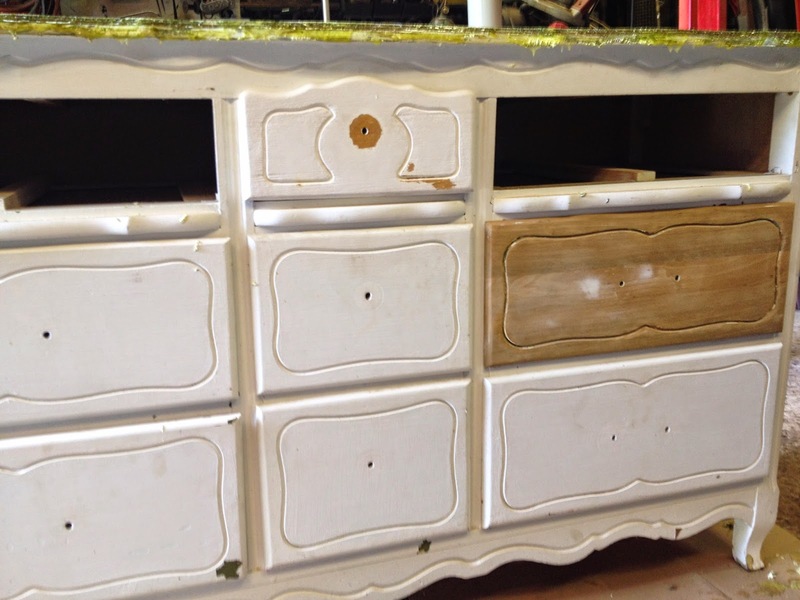 Here are before and after pictures of all the hard work... We didn't actually get a proper before picture so these are during the stripping and then the drawers are after the paint was stripped off. and Ta-da... doesn't it look so much better?? I'm quite proud of the outcome and I'm hoping it will be in the family for several more generations. They just don't make furniture like this anymore. Next up is the curtains and crib skirt. Thanks to my very talented mother who professionally makes window treatments for designers and such, I just have to buy the fabric and I'll have custom treatments and bedding. The problem with that is, I'm kind of a snob lol so I found some fabric that I really like but it was pretty pricey so we went to look for some fabric at a huge fabric store in the area. I just couldn't find anything that compared to the one fabric I found. So we are going to take some Ikea panels that I have and replace the bottom third of the panels with this fabric I have picked out. The fabric will also be used for the bed skirt. The black out roman shades will just be white with 2 stripes of the color from the fabric. Here's an example... I have 3 frames the color of the ones you see in the picture. I'm going with the geometric fabric and foregoing the striped fabric to save money. Then we have the grommet panels already. I think it will look really nice when it's all together. Isn't he precious? :). I had to go in for a repeat ultrasound last week because they couldn't see some things they needed to in the other one I had due to the way he was sitting. It's crazy how different they look between 18 weeks and 23 weeks. He actually looks like a baby rather than a little alien creature lol. 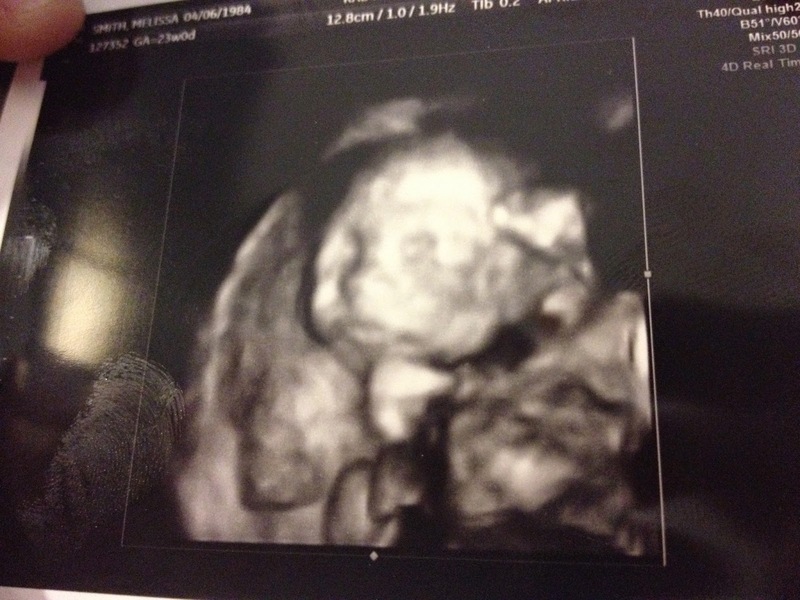 I'm finally feeling him kicking and moving around. My placenta is in the front apparently so that's why I'm just now feeling him. It's not really consistent... just enough for me to know it's him. Darren felt him for the first time the other night... but just once because Maddox stopped moving when he put his hand on my belly... go figure right? I also saw my belly twitch tonight which was kind of funny. 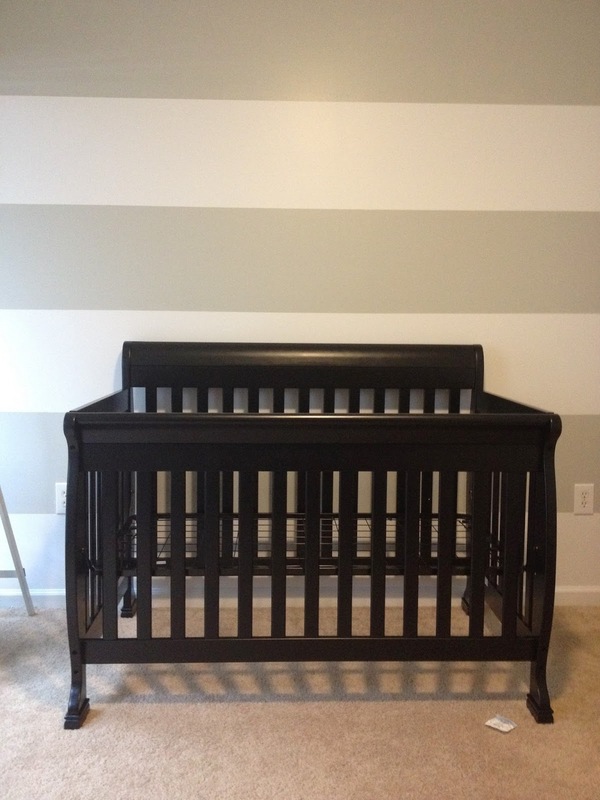 In other news, we got the nursery painted last weekend. 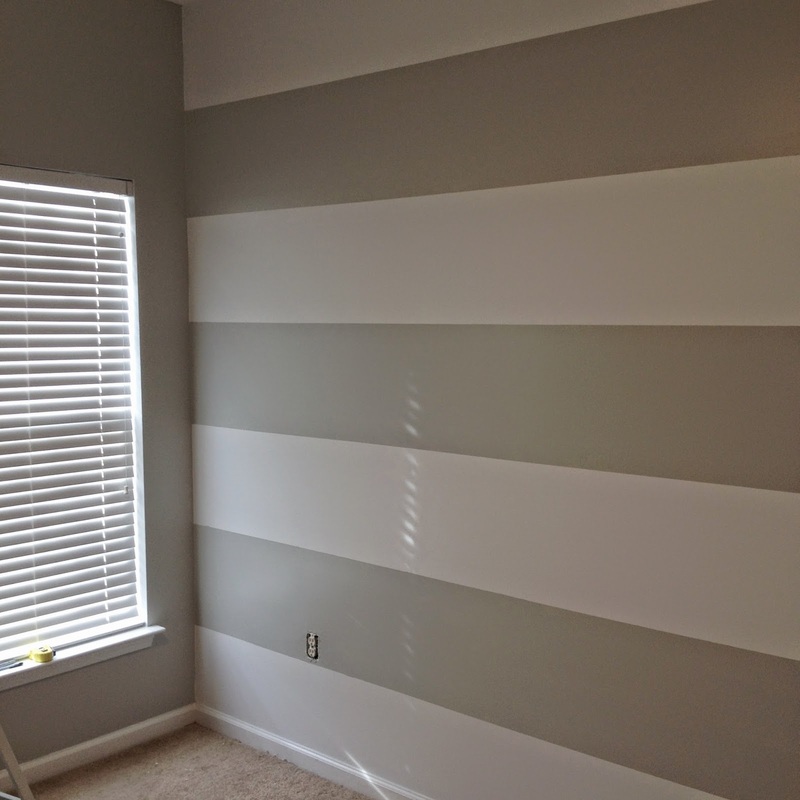 I just have to paint the stripes on the wall where the crib will be. We finally ordered a crib. After a couple failed Craigslist attempts, we just decided to go ahead and order a new one. 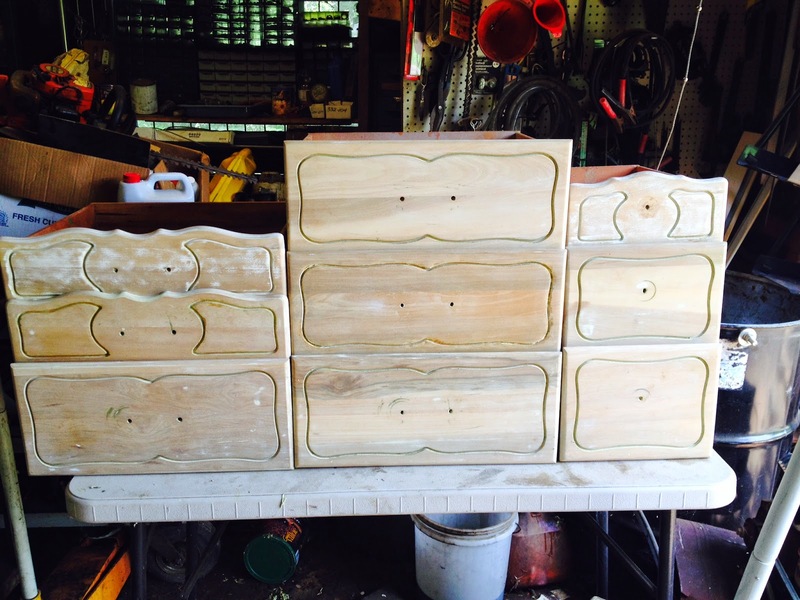 Darren is almost finished stripping and sanding the dresser/changing table so we'll be able to paint it soon. He's also going to try his hand at a wooden monogram for the wall. His cardboard draft looks pretty good so I have faith in him :). Mom and I went and looked at fabric last week. We didn't have much luck. We are going to go to her friend's workroom and look at her fabric swatches and hopefully just find some we can order. She's going to alter Ikea panels that I bought a while back, make some black out roman shades, as well as the crib skirt. 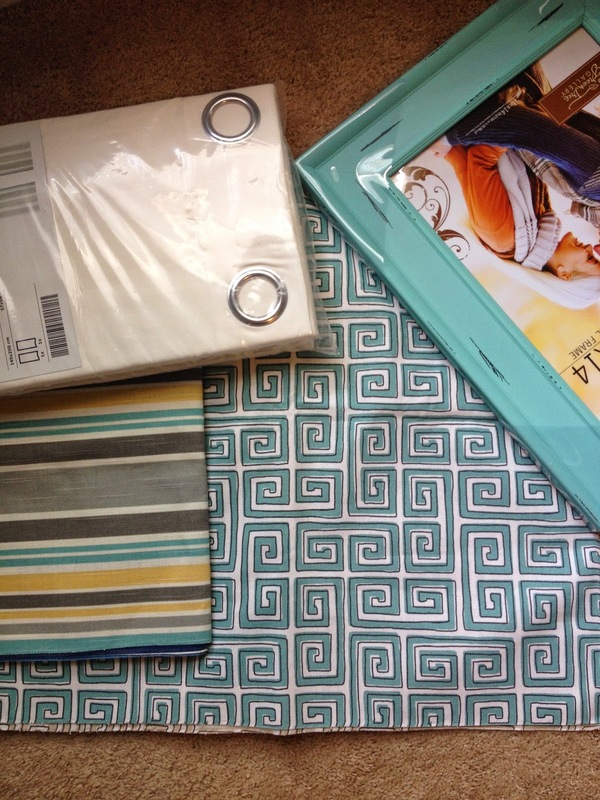 We are going with a light gray, aqua, and yellow color scheme with black furniture. It's all coming together. :). I've kind of been dragging my toes with it for some reason. Anyway. I know I need to do some pictures. I kind of still feel like I'm in the "is she pregnant or just really chubby?" phase so pictures aren't exactly my idea of a good time :). Speaking of pictures though... I've thought about getting back into the photography world. We sent our equipment off to Canon to be serviced and fix a focus issue we were having.... $1,000 later, I guess I need to make sure it's all good lol It's still sitting in the box they shipped it back in. That will definitely all change when I have my own little subject that I can use whenever I want and I don't have to set up times or ask permission of anyone. That's why photographers have kids right? lol j/k! Well... that's all I've got for now :). 24 weeks this week. Uncomfortable but dealing with it.